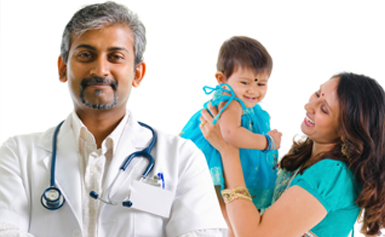 The department of general medicine is staffed by large complement of competent doctors. The department runs daily. At any given time of the day, the patient can meet the specialist doctor and seek advice. The doctors are eminent practitioners who have a standing with the community. The department offers array of services from treating simple fevers to complicated clinical conditions requiring consolidated attention and referral to proper specialty if required.The hospital boasts of state of the art indoor facilities for patients who require to be admitted. Patients are also seen by the consultants in case of any emergency at any time of day or night. The medical care offered is evidence based. The doctors have a team approach in the management of complicated cases and complex multi-organ medical problems. The department is backed by accredited Pathology Laboratory which run all routine and the most sophisticated tests. Most routine reports like CBC, Malaria tests etc. are also available on urgent basis facilitating quick diagnosis and treatment of ailment which is the need of hour in prevailing health care system. Smoking cessation program in association with chest physician. Besides routine examination and diagnosis of diseases followed by investigation and treatment, all types of fever and infections, are also managed by the department. Specialized tests, use of rapid bacterial culture and sensitivity techniques, PCR and other investigation modalities provides the best quality support for these.